With our sufficient technical know how we here bring along a range of Conveyor Belt Splicing Material that include cover sheets, Transverse reinforcement embedded in un vulcanized core rubber, Core rubber sheets and Steel cords with original core rubber etc. All these and more components are delivered within the scheduled time frame. We welcome queries for Conveyor Components and Services from Overseas Countries like United Kingdom, United States, Australia, China, Denmark, France, Netherlands, New Zealand & Norway. We are engaged in manufacturing and supplying of Steel Cord Belt and Textile Belt Hot Splicing Material to our clients with greater life and quality assurance. 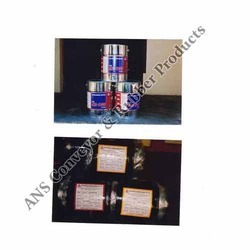 Material like Intermediate rubber strips, cover sheets, bonder compound etc all are made with us using the most advanced technology and best raw material. Things to be remember is that these material must not be exposed to direct sunlight and has to be kept indoor and cold storage and away from heat producing equipments for safety issue. 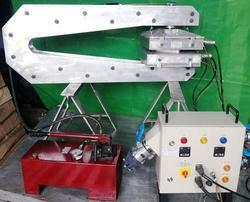 Being an eminent company, we are involved in rendering CONVEYOR BELT REPAIR MACHINE. Looking for Conveyor Belt Splicing Material ?